Selling your home can seem like a daunting task. Finding the right agent, decluttering the interior, prepping the exterior, making needed repairs, getting the “beauty” shots of the property, holding open houses, fielding multiple offers (you hope)—the to-do list may seem longer than your list of New Year’s resolutions. And that doesn’t even include preparing yourself mentally for leaving your home in the hands of … strangers. Figuring out the best time to list your house is yet another detail to add to your busy schedule. So, how do you know when the optimal time is to put your home on the market? Don’t worry, we’re here to help you think through that part of the sale process. When it comes to selling your home, the time of the year can have an impact. The consensus among the realtors we talked with was that late spring-early summer is generally the best time to put a house on the market. Kids are finishing the school year, tax refunds are coming in, and the days are getting longer and sunnier for open house visits. Holly Gross from the Holly Gross Group of Berkshire Hathaway suggests listing your home mid-March. “If you think you want to sell your home, and you don’t have any time pressure, plan on putting your home on the market late winter to get ready for the spring market,” says Holly. Chances are, your home will also shine brightest during the mid-Atlantic spring. After weeks of warming temperatures and frequent showers, the grass is a lush green, the flowers, shrubs and trees—tulips and daffodils, azaleas and lilacs along with dogwoods, redbuds and cherry trees—are in their blooming glory, and the sun adds a sparkle to your picture-perfect, fully prepped, ready-for-the-market home. Your home will have some serious curb appeal, which is bound to get homebuyers excited and through the door. 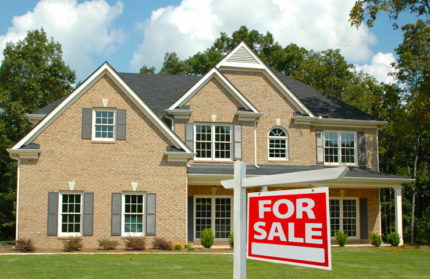 Though spring is the most popular time of the year to sell, it certainly isn’t your only option. Homebuyers don’t simply disappear when the warm weather does. During every season, there’s someone out there looking to buy. And the late-summer/fall market tends to find its own group of potential buyers. People returning from vacation who weren’t ready to move—or weren’t thinking about moving—during the spring market have enough time to shop for a new home later in the year. Although traditionally, the fall market has been slower for those buying and selling homes, Holly Gross notes that this market is becoming larger and busier. It may soon become comparable to the spring market. And it’s all thanks to the Internet! “People are looking online for properties now,” Holly says. “They’re able to shop year-round from any location.” In fact it’s now more common to see homebuyers first looking online for homes, and selecting the properties they want to see in person later. All this can be done while enjoying your summer vacation, when you have time to browse the many home listing sites. Now you can look for your new dream home while relaxing and sipping a beachside piña colada. Remember, the real estate industry is a year-round business because there are always people who want or need to move. Those without children aren’t tied to a school year calendar. There are also buyers who will look at properties for a full calendar year, just to find that special place they’ll call home. “Buyers who are looking for historic, custom or distinctive homes tend to be year-round shoppers who will carefully monitor the market and will patiently wait for the perfect property in their ideal location,” explains Trish Keegan. These one-of-a-kind properties are worth waiting for, and there are buyers who will search for them, even in the winter. You’ll also find some variations in types of buyers depending on the season you choose to sell. Fall and winter homebuyers are usually more serious buyers, who want to close fairly quickly. And who can blame them—no one wants to go to open houses in a foot of snow! People who have to relocate for business usually don’t have much flexibility in when they choose to buy. Instead, they often need to act quickly and can’t wait until the busy spring market rolls back around. In our area large employers also account for off-peak-season home sales. For example, QVC in West Chester and SAP in Newtown Square bring in many new employees to our area, making year-round relocations a viable part of the local real estate market. No matter the season, you want to be sure you’re selling at the time that’s best for you—and your family, of course. Selling your home is a big and time-consuming change, and so are buying and moving into your next new dream home. When it comes time to put your house on the market, the best plan of attack is to make a plan. Write down the steps needed to get your home ready to sell, and how long each should take—note the use of should! “The best strategy is to have a plan; determine your goals and make an assessment of your needs to fulfill these goals,” Amy McKenna suggests. Having a better idea of what you want to accomplish and what you need to do makes the whole process more achievable. And if you haven’t yet bought your new home, don’t forget to consider those steps in your plan as well. You’ll likely want to find the right agent, too. “Whenever you’re buying or selling a house,” Bob Frame says, “you really want to interview several serious agents so the process can go smoothly.” An agent should be working with you and working to get your house sold close to the asking price and on your schedule. Taking the time to find the right agent is key. One way to figure out the best time frame is by working backwards from your target closing date. Consider how long it typically takes to sell and to close on a home in your neighborhood. In some cases, the process could be wrapped up in a few weeks—but it’s more likely to be four months or it could be even longer. So if you want to have your home sold before the start of the new school year in late August, you may want to aim for listing it in the peak months of March or April. Whenever you may be selling, remember, there’s a market for every season—and a buyer looking for a home as special as yours.